Zen is a form of Buddhism that concentrates on calm, reflective forms of meditation in the quest for enlightenment. The word Zen, by which the school is known in Japan, derives from the Sanskrit word dhyana, which means “meditation.” Dhyana took root in China and was translated into the Chinese character ch’an. Zen is the Japanese pronunciation of ch’an, while it is also known in Korean as Seon and in Vietnamese as Thien. The same basic principles and provenance of the school apply to each country where Zen Buddhism has come to be practiced, although it has developed slightly differently in each country over the years. The essence of Zen Buddhism is that the capability to attain the Buddhahood—to recreate the enlightenment of Gautama Buddha—exists within all people but remains latent because of ignorance of its presence. It is, consequently, a branch of Mahayana Buddhism. To liberate the potential for enlightenment, the best method is to penetrate mundane, rational thought to achieve a sudden transcendent understanding. Training in the way to achieve this should be transmitted from a Zen master to a student individually and is known as satori. All other activities, such as studying scriptures, proper behavior, and charitable works, prescribed by different schools of Buddhist thought are held to be less valuable approaches to enlightenment and may in fact be worthless. The originator of Zen Buddhism is believed to be the Indian monk Bodhidharma, who resided in China in the sixth century. Bodhidharma is said to be the 28th patriarch of the Indian meditation school that was founded by the monk Kasyapa, to whom the lord Buddha revealed his enlightened nature directly. Bodhidharma continued the practice of passing authority over the school through subsequent patriarchs, the first of whom was Hui-ko. By the end of the reign of the fifth patriarch, the school began to suffer from schisms and it was a branch of the so-called Southern school that took root in Japan. This featured students’ concentrating on koan (or kung-an in Chinese), which are apparently contradictory aphorisms, which, when resolved, can lead the mind to sudden enlightenment. In some schools, the focus on koan was assisted by the Zen master’s slapping the face of the student or emitting unexpected shouts to help intensify the mind’s activity. Other schools favored the zazen method of sitting quietly. Zen spread slowly from China and was established in Japan in the 12th century. Many of the warrior class practiced Zen and lent their support to its protection. 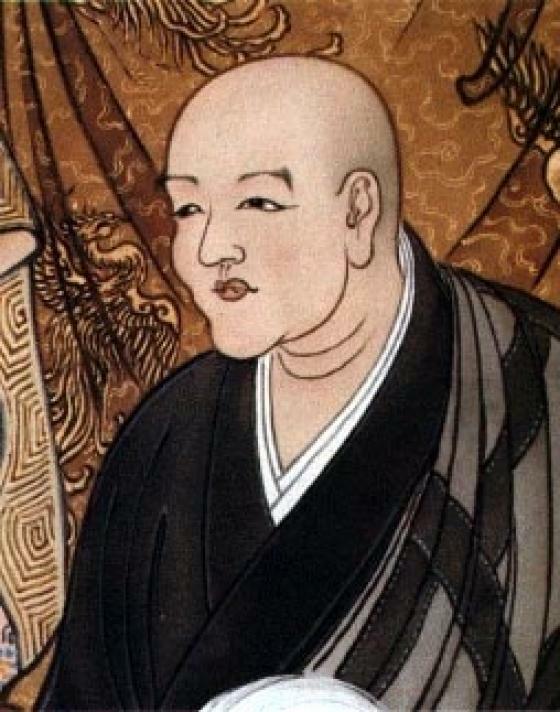 The monk Dogen, who founded his own temple in Japan after having achieved enlightenment in China while in the zazen position, led further development.